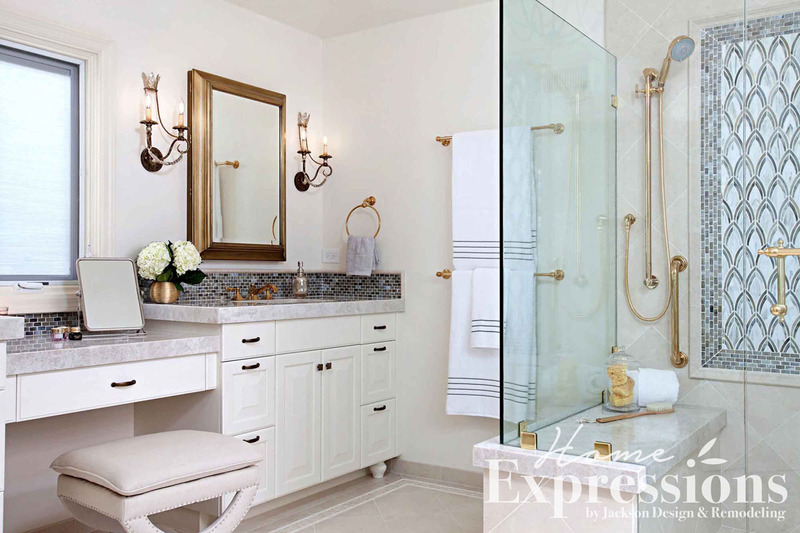 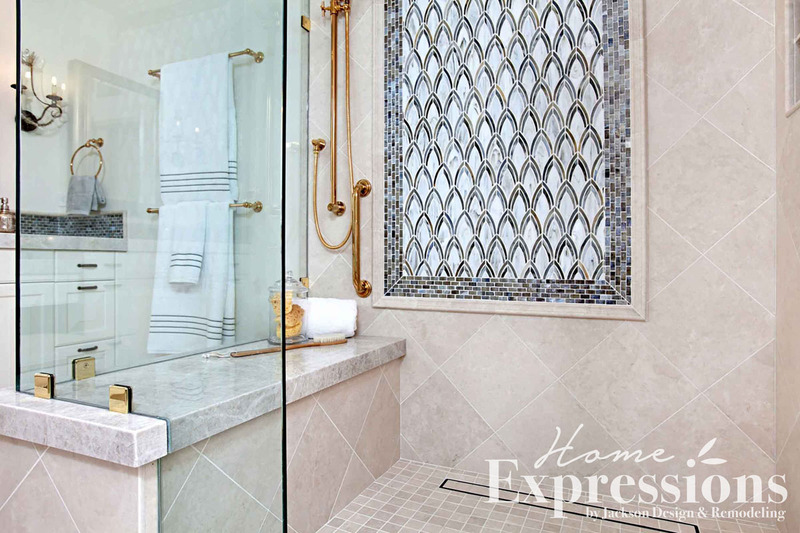 Glimmering mixed metallic elements and blue Moroccan-inspired patterns enliven this spacious white bathroom with a luxurious shower. 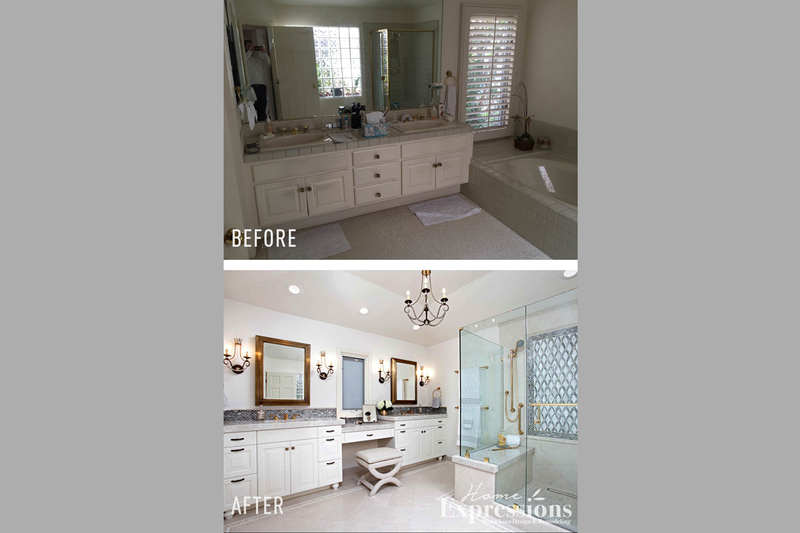 For clients who love its texture and luxury, generous expanses of marble gleam throughout the space. 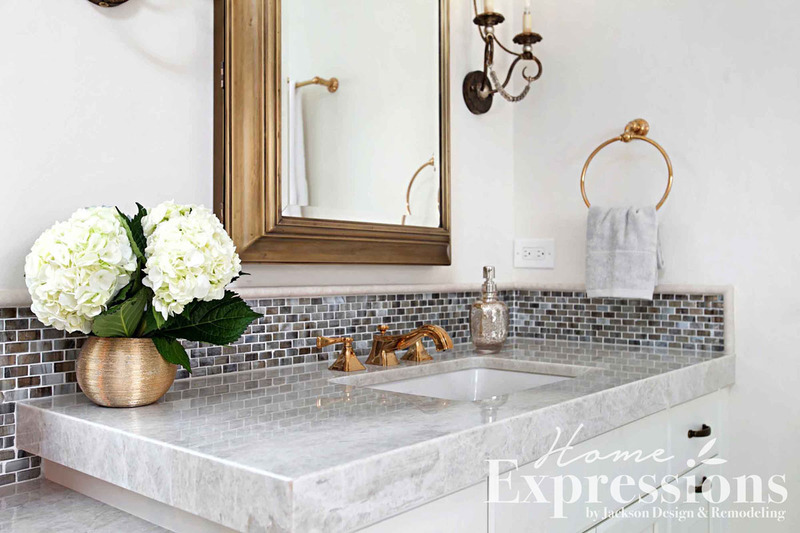 Natural light was intensified with a new window and reflected from shimmering surfaces throughout the room, including a mosaic glass backsplash in rich shades of blue on the extended vanity. 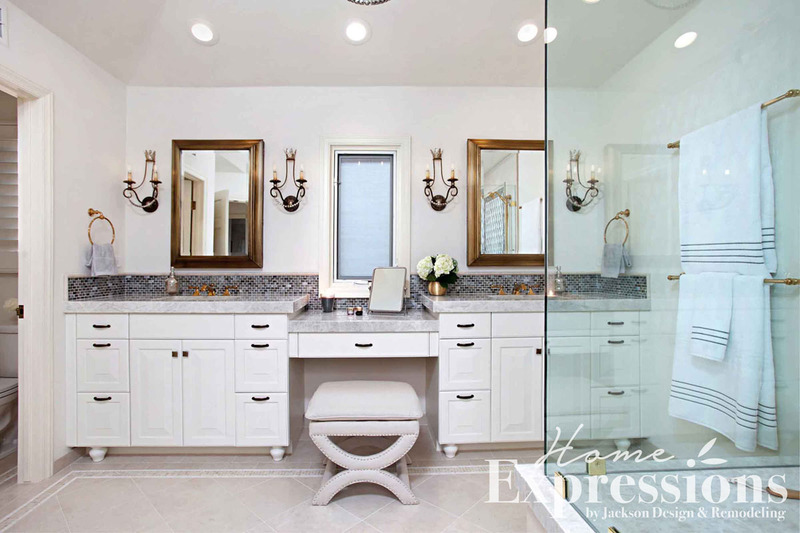 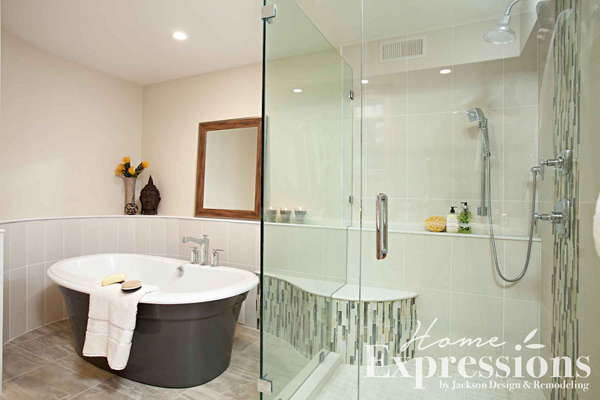 A free-standing charcoal tub enveloped by a radius shelf is the distinctive centerpiece in this sophisticated and serene master bathroom.